The symphony was composed in 1901 and 1902. In February 1901 Mahler had suffered a sudden major hemorrhaging and his doctor later told him that he had come within an hour of bleeding to death. The composer spent quite a while recuperating. He moved into his own lakeside villa in the southern Austrian province of Carinthia in June 1901. Mahler was delighted with his new-found status as the owner of a grand villa. According to friends, he could hardly believe how far he had come from his humble beginnings. He was Director of the Vienna Court Opera and the principal conductor of the Vienna Philharmonic. His own music was also starting to be successful. Later in 1901 he met Alma Schindler (31 August 1879 – 11 December 1964, the a Viennese-born socialite and composer) and by the time he returned to his summer villa in summer 1902, they were married and she was expecting their first child. Counterpoint (the relationship between voices that are harmonically interdependent -polyphony- yet independent in rhythm and contour) also becomes a more important element in Mahler’s music from the fifth symphony onwards. The ability to write good counterpoint was highly cherished by Baroque composers and Johann Sebastian Bach is regarded as the greatest composer of contrapuntal music. Bach played an important part in Mahler’s musical life at this time. He subscribed to the edition of Bach’s collected works that was being published at the turn of the century, and later conducted and arranged works by Bach for performance. Mahler’s renewed interest in counterpoint can best be heard in the third and the final movements of the fifth symphony. The World Orchestra for Peace was founded in 1995 to mark the 50th anniversary of the United Nations by Georg Solti (21 October 1912 – 5 September 1997), the famous orchestral and operatic conductor. The orchestra has continued to perform after his death, under the conductorship of Valery Gergiev. The orchestra’s mission was, with Sir Georg Solti’s words, “(to reaffirm) the unique strength of music as an ambassador for peace”. 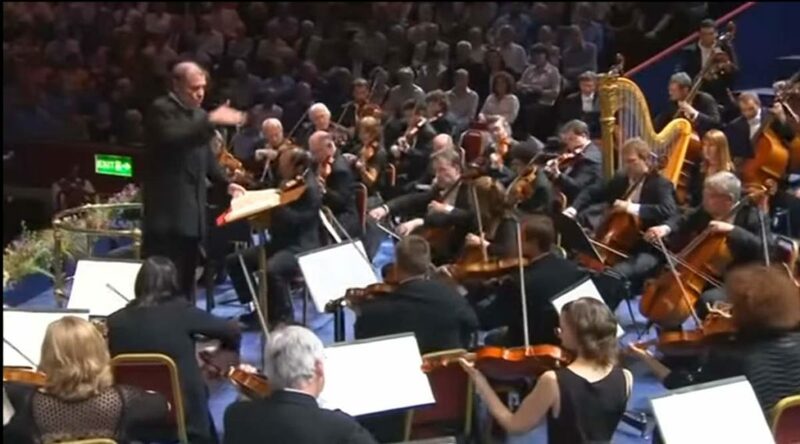 Its players come from orchestras all over the world, many of them concert masters and section leaders in their own right, and the orchestra has no existence outside the very special occasions that call it into being. The orchestra is also unique in practical terms. There’s the logistical challenge of assembling everyone. The eminent players must put aside issues of status: their seating positions rotate, and the section leaders vary from work to work. Even tuning can be tricky since orchestras play at different pitches across the world. Its members do not draw a salary from it, yet return time after time to bear witness to the spirit which animates it.